With Ken's blessing, the sample Cascade that I received to take to the Carolina Canfest is now available for a review tour and so is the pair Msheney has been demo-ing so, we have 2 pairs. This means you are twice as likely to get to participate and even more likely to see the cascade in your mailbox in the coming weeks. Please read the rules below if you would like to be part of the tour. Each person will get 10 days to listen to the Cascade and then another 10 to post their review. If once we set the order you have an issue, please let me know in advance so we can have the Cascade shipped directly to the next person in line and we will circle back to anyone with time constraints at the end of the run. Due to costs of shipping, we will send one pair out west with @Msheney and @drbluenewmexcio running that side of the affair, and an eastern half of the country run by myself. I recommend a Regional Rate Box A as the lowest cost option for shipping as it is cheaper than the Medium flat rate box. With Insurance for $800, it cost me $22 to send the Cascade from TN to MO so Ngoshawk could try it out. You may need to check with your PO about getting the Regional Rate box in advance as not all carry it. They can be ordered from the PO website directly in quantity of 25 for free delivered to your doorstep but it takes about 14-21 days to arrive so plan accordingly. I will not be shipping the Cascade overseas, so please keep this to US and Canadian members to help keep costs down. With the value of the headphone in question, shipping must be done insured and with signature required to minimize chances of damage or loss. You will be responsible for costs of shipping to the next participant and posting tracking information to this thread. I will try and create an order that minimizes costs as much as possible as will Msheney for the western tour. a list of sources you have for use with the Cascade. Once you have posted that, please PM Me your full name, mailing address, email, and daytime phone number. I know some prefer not to have that information published in open forum so will promise to keep such details private except where necessary. The three of us will try and sift through requests and get a group of reviewers and dates posted for each set of Cascades so we can have the tour staged by March 24th and the Cascade sent to the first Tour participant on that date. All movements of the two will be posted to this thread as we go. I have thoroughly enjoyed my time with the Cascade and feel very privileged to have gotten the chance to try them, especially this early in their life-cycle. I have made arrangement with Ken at ALO to purchase this set of headphones once the tour is complete so, much as I hate to let them out of my hands, I think they deserve to be heard, so I offer them up. MSheney has also been much impressed with them and I'm sure hates to see them depart his company as well. ngoshawk and SilverEars like this. I have the following headphones/in-ear-monitors/earspeakers for comparison: AKG K501, Sennheiser HD250 Linear I, Hifiman HE-4, Noble Savant, Stax SR-L500, Shure SE846, and ENIGMAcoustics Dharma D1000. I have the following sources for comparison: Dell Laptop connected to a iFi iUSB Power/iDAC2 stack, Headroom Desktop Amplifier connected to various sources, and iPhone6 or Cowon J3 32GB connected to a FiiO e17 DAC/Amp. You also have a PM coming, @Wiljen . Im interested in checking them out. All of my gear is also in my signature. I'm by no means a reviewer Shakespeare and won't get my feelings hurt if these go to more experienced posters, but figured I'd throw my hat in the ring regardless, as I am super curious about the Cascade and feel like I could offer some value in offering my thoughts. I'm not a headphone hoarder, and only own HiFiMan HE-560s as my full-size and Campfire Jupiters as my IEMs right now, along with some chi-fi IEMs, so those would be only available direct comparisons. As far as sources, I could offer a little more, especially in terms of mobile options: Onkyo DP-X1, iPhone 8, iPod 5th gen, Sansa Clip+ w/ Rockbox (for ****s and giggles!). I can also borrow a Schiit stack (Magni/Modi 2 Uber) to test as a desktop option. Again, not the ideal candidate, but figured I'd throw my hat in the ring. I haven’t written any official reviews, just long thoughts. I can pm if needed. My gear is in my sig, with the MCTH arriving any day. I'm also interested. Haven't done formal reviews, but actively contribute impressions in relevant threads. 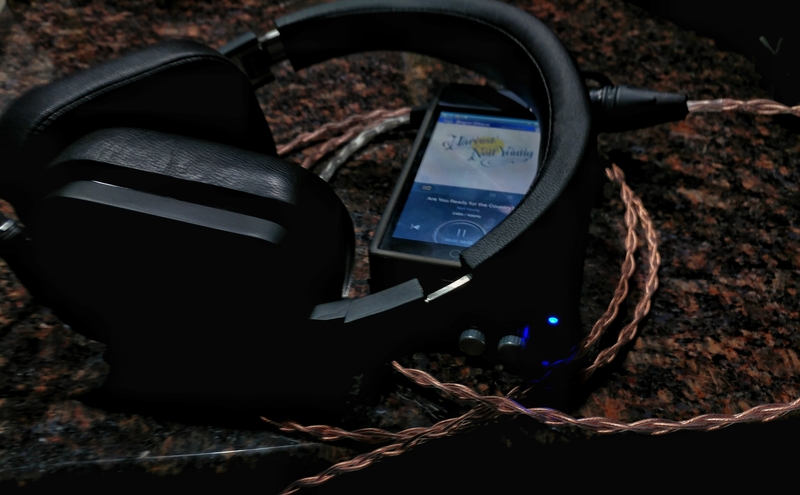 Amps: Massdrop Cavalli Hybrid, iFi iDSD Micro Black Label, Geek Out 450.
. For those interested, I don't think there is any formal standard that has to be met. My reviews are all posted here as I don't blog so it isnt like a bunch more are hidden somewhere else. I am first and foremost a music enthusiast and I buy gear that makes my music sound good to me. You won't find a lot of technical in my reviews simply because it isnt my skillset. I enjoy reading reviews by others as they always present a few thoughts that I hadn't considered. ; My advice would be, make the review something that others will gain something useful from. Even if that useful tip is a negative like "The cable isnt fit to be a bread tie, replace it" (Magaosi K5 review I did). more big news on this topic - please re-read first post as we now have 2 sets of Cascades so you are now twice as likely to see them soon. Cans: I would compare the Cascade to the following closed cans: Meze 99 Neo, TH900, LCD-XC, Momentum. I also have some open cans, but probably wouldn’t compare. Sources: I primarily listen to the Shanling M2s with FLAC, and apple Ipod nano with MP3 320 into RSA Predator, and (very rarely) Cayin N3 (FLAC) into RSA Intruder. I also have some other portable and desktop amps, but primarily listen to the first two listed. Sorry I didn't get to make it to CanJam. I would have liked to have met you. From reading the Cascade thread, I think our musical tastes align. I just put that Vintage Trouble disc on my wish list to pick up. Additionally, for those of you on or closer to the East Coast please Tag @Wiljen in your post, and for those of you located closer to the West Coast please tag myself and @drbluenewmexico in the post! So we can get an idea of whose getting which unit. Additionally @Howlin Fester application is exactly what I and Dr.Blue are looking for! Non the less, I'll be shipping my unit to Dr.Blue here on the 10th and he will kick off the western leg of the tour in the final week of March! So all in all the two tours should occur at the same with one another, so neither coast is going to be behind nor ahead of the other! Again a big thanks to @KB for allowing not one but TWO units to tour the US! Just to get your appetites wet I have a pic for you all!!! Which coast does Texas belong to? Lets hold off on setting the dividing line so we can see how many participants we get and then divide it up in a way to keep it more or less an even split. I am some kind of new, but I really want to start to do some review. E-MU teak(ebony and Lawton mod cup). Other headphones would also be used if I feel there are some correlations. sources: I use foobar(Wasapi) +modi multibit+woo wa6se, also I will use mojo to compare.